Most things in life work better when you start it right. It is not to say it won't work in the end. 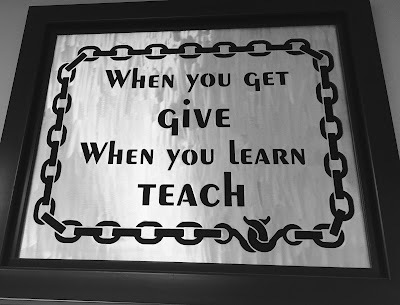 It is just an easier way to learn from others, instead of paying your school fees. Take time to prepare. Learn by observing and listening to the experts. It will shorten the learning time and cost you less. Once you have the basic covered, then the real adventure starts. Then you have a license to break the rules. 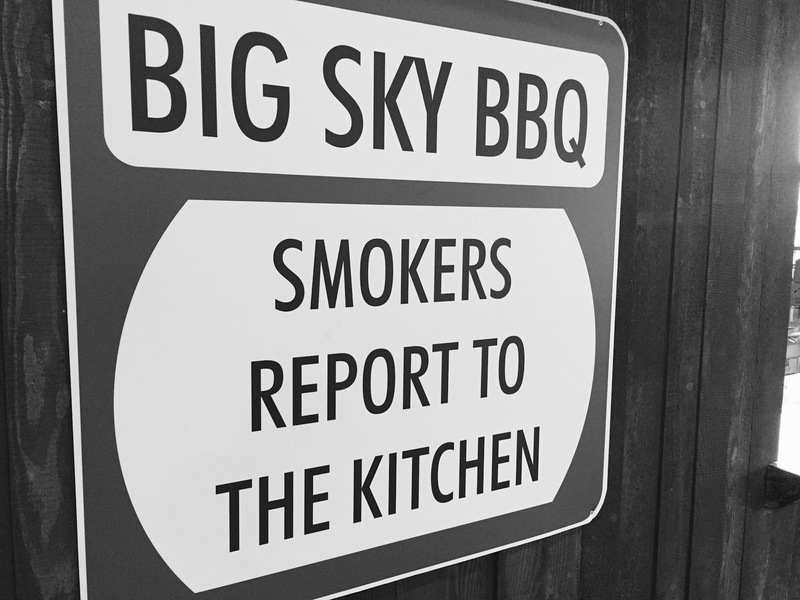 Come with us as we learn how to do amazing Brisket in a smoker with Rob at Big Sky BBQ. 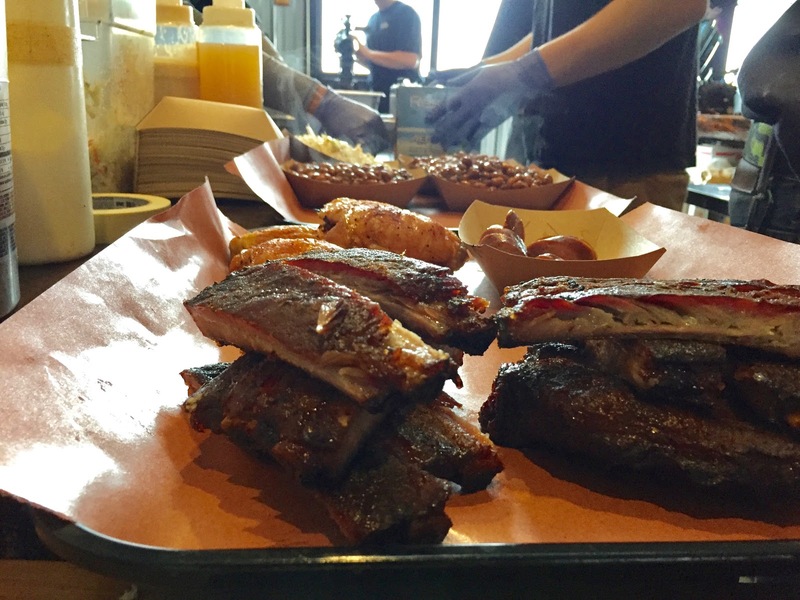 We wanted to know what the secret is to Big Sky BBQ's succulent Brisket. They do an amazingly good, soft, flavourful smoked Brisket. Rob Bolton, the owner and chief BBQ Pitmaster gave us some guidance on how to start a Brisket smoking endeavour the right way. It will be the first in a series of suggestion on how you can improve the way you treat your meat. Big Sky BBQ is an authentic Texas-style BBQ pit (barn) just outside Okotoks, Alberta. Alberta is beef country. If you want to play with the "big-dog-bbq-boys" in this part of the world, you better know your Brisket from your Ribeye. All the Big Sky dishes are from locally sourced ingredients and done in a Backwoods Smoker on-premise with real wood. They cook it fresh every day. Believe me when I say that they run out. It is that good. You cannot get more authentic unless you park your Harley on the lawn outside (which you can do once the snow clears this Spring). If you are grounded by your domestic government and have to stay home to watch the kids, you can order your Brisket online from Big Sky BBQ's Online and Mobile Menu and pick it up on your way home, or get it delivered. 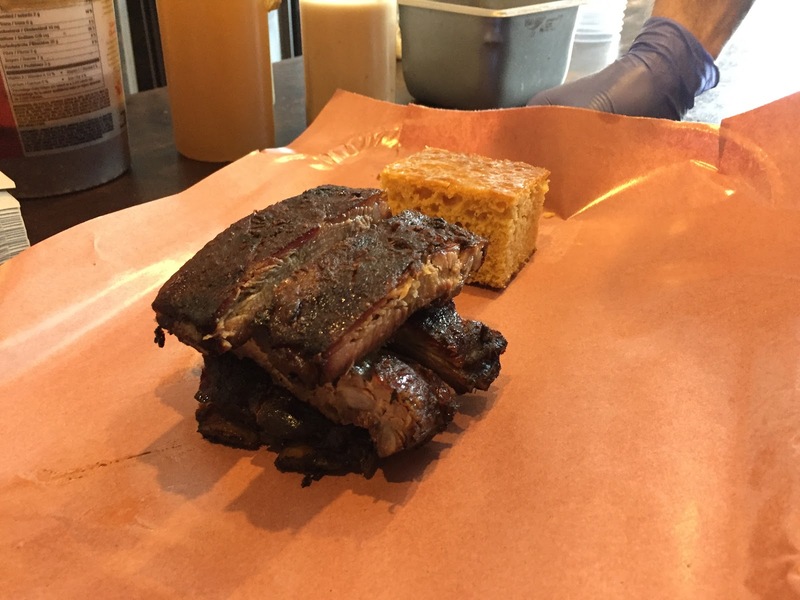 The way to start any good Brisket is to ensure you get the best Brisket you can buy. You can tenderise the saddle of a horse, but it is not going to taste as nice. Best is to get your meat from your local butcher. His business is to get you come back for more. He's a professional. Let him sell you a nice dry-aged cut that will cook with a lot of flavours. Trust your local butcher. Some people smoke or cook the two muscles of a beef Brisket separately. They take great care to painstakingly separate the two parts without messing it up (Yes, I know there are more parts to a Brisket, but for purposes here we will keep it simple). You have the flap which tends to be dryer with less fat and the point muscle with a beautiful layer of fat underneath and some marbling. We recommend you keep them together they way they were intended to be. By not separating it, you save yourself a lot of time, and you are doing a good thing by protecting the fat under the point. Let the fat slowly melt into the flap. It will tenderise the dryer part of the cut and give you a beautiful, flavorful and succulent outcome. You have to trim your Brisket. This is when you cut off the silver tendons and unwanted fat on top of the cut that won't render and won't melt away during the cooking process. It will also keep your rub from penetrating the meat. Rob calls it your "grandma's underwear" (No offence intended. It is just a descriptive figure of speech). Get rid of it. It should not be on your Brisket. You can use the parts you cut off to make a reduction of beef broth with red wine and other good stuff. You will use it to inject more flavour into the meat and braise it further before the finishing stage. Inject the beef reduction into the Brisket with the grain. It will ensure it stays inside and delivers maximum flavour. Apply your Brisket rub and let it cure overnight in the fridge before smoking or cooking it the following day. The flavouring needs time to do their job. Rob was very secretive about his beef reduction and his brisket rub. Apparently, he is working on a plan to market these later as condiments you can buy directly from Big Sky BBQ's online store. Most BBQ professionals guard these recipes with their lives. 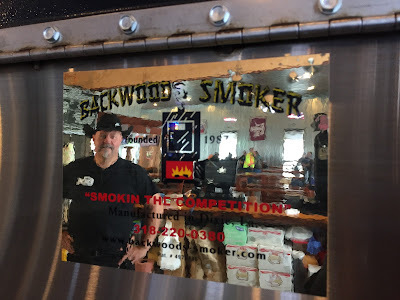 It is the single biggest flavour differentiator between Brisket smoking experts that are championship winners and those that are "just having a go". Stay tuned for more tips and tricks on how to treat your meat. How do you create an opportunity for meaningful work? By applying technology to routine and mindless tasks. It frees up people to do something else. Something better. What we choose to do with this opportunity, and if it has more meaning, remains ultimately up to us. That was the plan at least a century and a half ago at the dawn of industrialisation. We've advanced substantially since then. We are now in a new era where machines are not only executing routine and mindless tasks, but technology is also becoming implicated in the "meaning of work". Our robots are becoming extensions of ourselves. 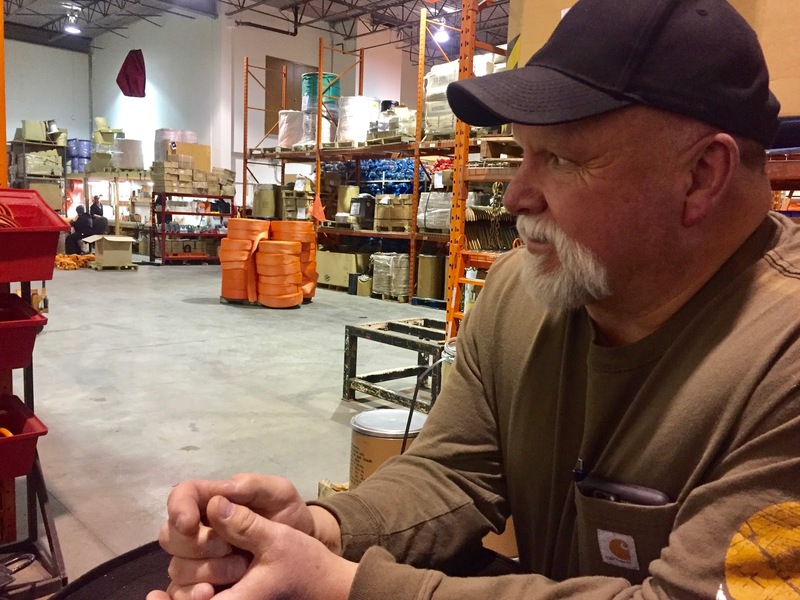 According to Erik Brynjolfsson and Andrew McAfee, "We’re entering unknown territory in the quest to reduce labour costs. The AI (Artificial Intelligence) revolution is doing to white-collar jobs what industrialisation and robotics did to blue-collar jobs." They are making these jobs obsolete. The very nature of work is being challenged. It is forcing us to take another look at the relationship between people, employment, technology and society. Is technology giving us more precious hours back in our day? Is it giving us a chance for more meaningful work? This is a contentious issue that will not be settled soon. What we do know is that technology is getting more efficient at diverting mindless and meaningless tasks away from people. We now have a real opportunity to do something else. We think that we should grab this opportunity with both hands to create more meaning and purpose in our lives and in our communities. This is where Motion Design comes in. They are the people that take a process that a human would have done repetitively, and then automate it. They are not admitting that AI is part of it, yet. But it is bound to come sooner than later that their robots also become "self-aware". They are doing their work to reduce cost, free up human capital and improving quality and task consistency for their clients. Their customers are all over the world. From a "tractor shed" in rural New Zealand, Motion Design managed to carve out a niche in robotics and automation. They fabricate, program, experiment, invent, innovate and build machines and systems that are used in laboratories and other industries. 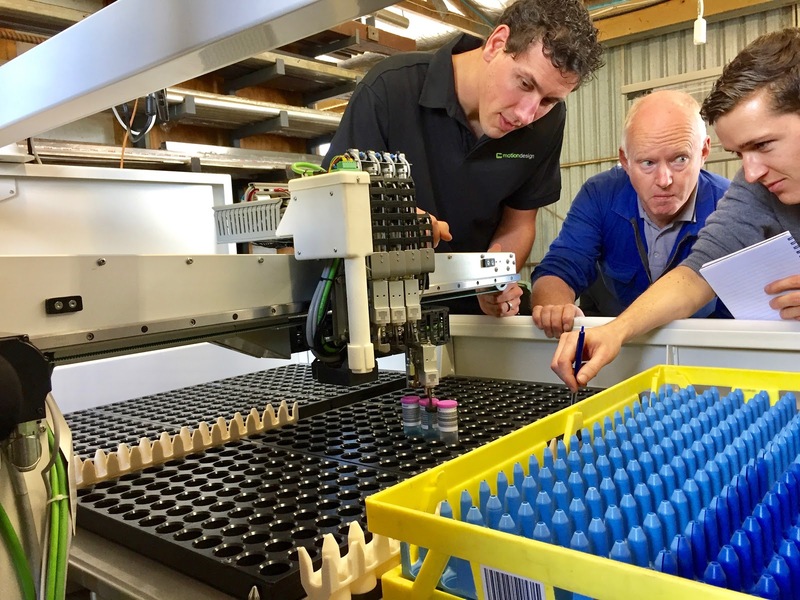 Why is a small company in New Zealand succeeding in what some consider a complex, specialised, yet growing industry? Because they are fast and flexible with ingenuity on-tap. Kiwis are open-minded people. They have to be. Because of the country's geographic isolation, its people tend to be more enterprising and self-reliant. They are more inclined to trying new things and learning from their mistakes. This is innovation at its best, and fertile ground for inventing. 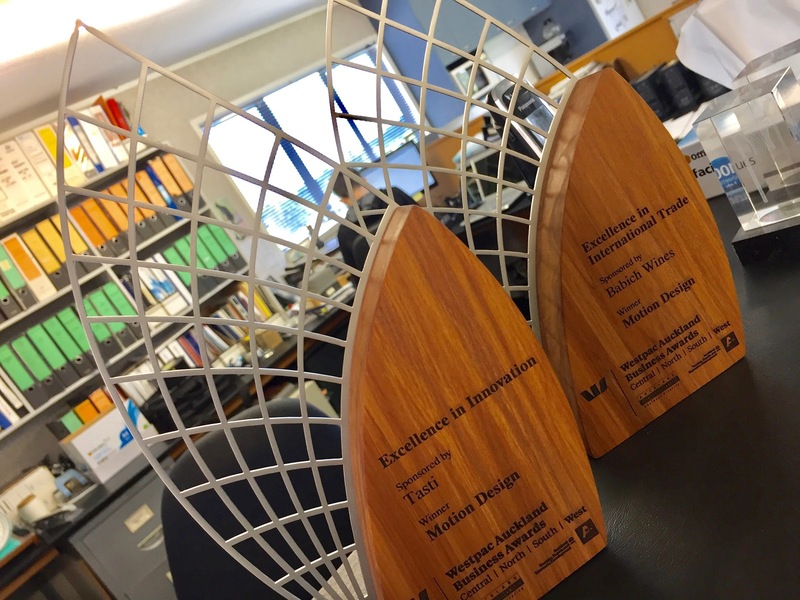 Kiwi businesses are recognised on the world stage for their ability to come up with novel solutions to problems and delivering on it. Frank Calis, one of the founders of the business admits that he doesn't get to play that much anymore with the toys of the business. He is now more busy building a company where others get to play and make something. I think he is modest, as most Kiwis are. Employing a team of brilliant people to change an industry, and contribute to a better world is still building something. It takes guts to make it run. Thanks to Motion Design, someone, somewhere in the world has been relieved of a routine and repetitive task. Hopefully, they are making the most of the opportunity by doing something else now, with more meaning. Food festivals are for the locals. Every community should embrace any and all opportunities for a culinary event. We don't have enough food festivals in Canada. We need more. There are so many communities cultivating and manufacturing unique produce across the diverse food production landscape of Canada. Wine, berries, bison, beef, barley, wheat, corn, truffle, lobster, maple are only a few that immediately comes to mind. The craft brewery scene is exploding. There are new entrants in every Province. Craft distilleries are not far behind. Canada is not the first place that comes to mind for artisan food production when one considers the vast wintry expanse of our country. It is more a feature of a place like New Zealand. Yet, it is hard to choose where not to go for a gastronomic celebration any time of the year. 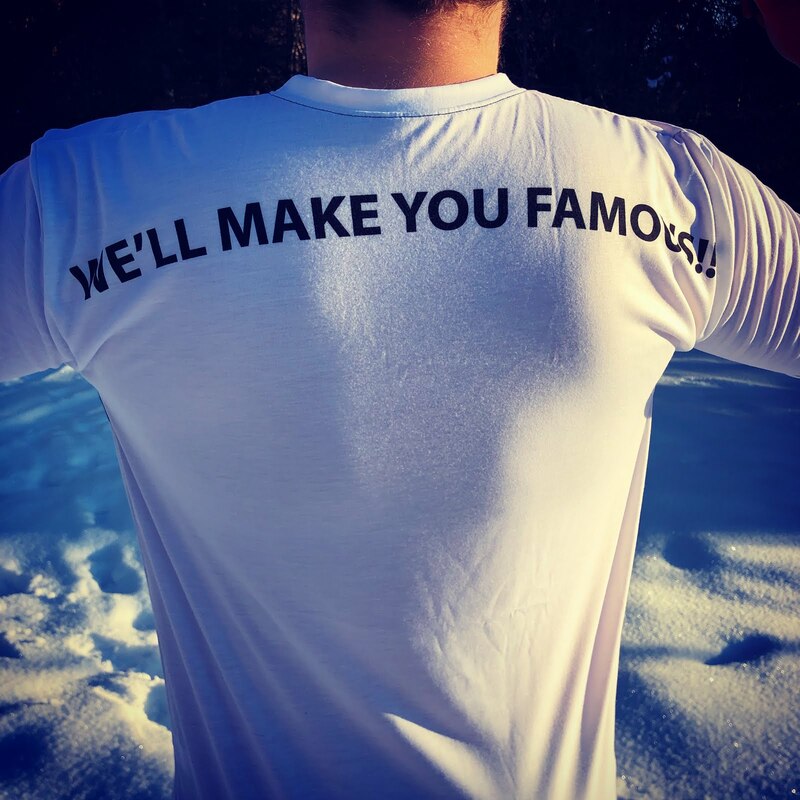 We have Icewine festivals, maple festivals, bbq events, berry, tea, whisky, beer, lobster, scallop, salmon, and a mushroom festivals. There is even a vegetarian food festival if you must. It seems that everyone is trying to tap into the food festival craze and opportunity to market their place. 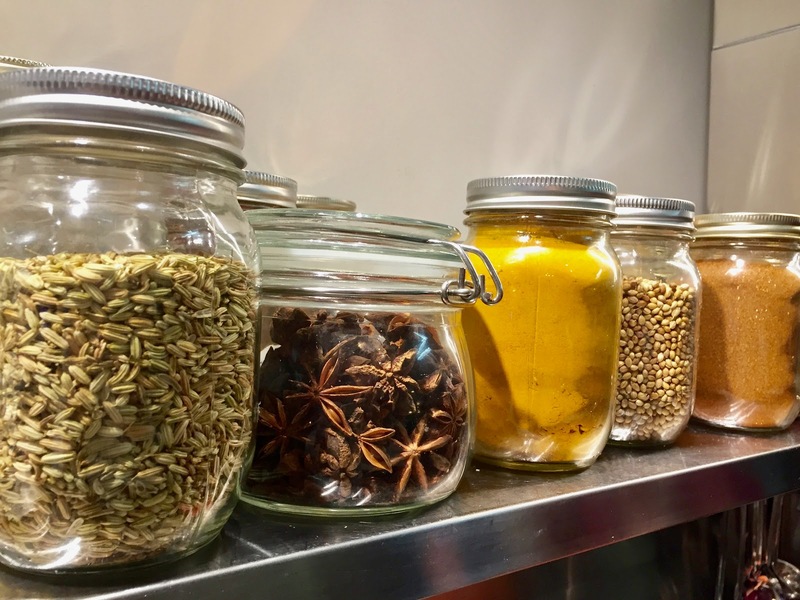 Local tourism associations and marketers are clambering over each other to market their locations as the next undiscovered hot food destination of the year. They are all doing fantastic work and have our full support. We think that we need more culinary celebrations. We are encouraged by their efforts. Here is why. Firstly, food festivals are good for the community. Any reason to celebrate is good for the morale of a group of people that share space, live and work together. It brings people closer. 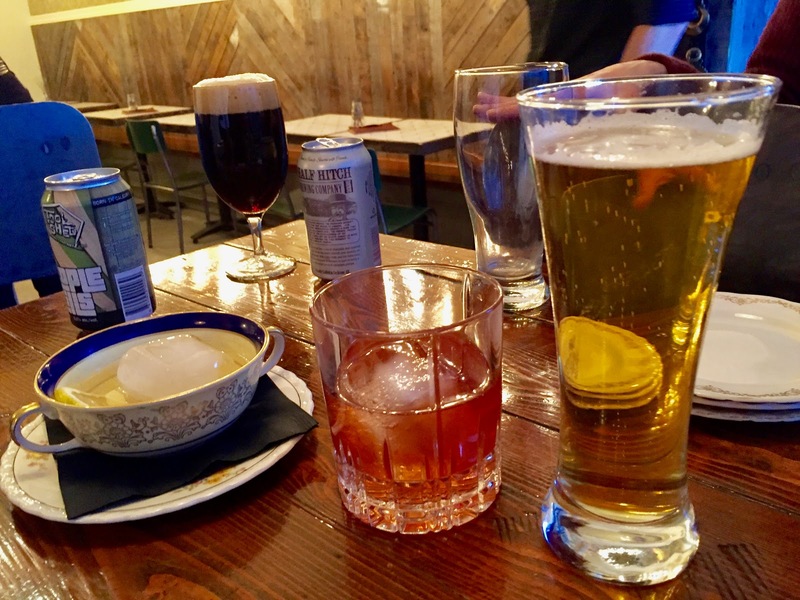 The best of these celebrations are when people come together around food and drink. A festival brings the local residents together to interact with each other. With food festivals, participating businesses are more inclined to collaborate by sharing in activities, creating and making things together. People get to showcase the results of their hard work to visitors and to fellow citizens. 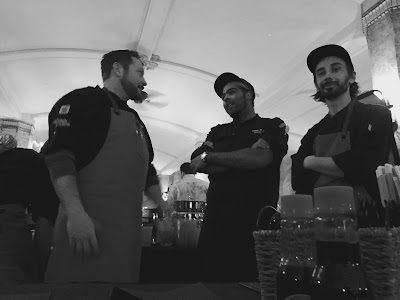 Ultimately, a food festival is an opportunity for community members to engage by supporting each other in the most fundamental of production endeavours - making food. It is not surprising that the majority of attendees of these festivals are the people most vested in the event. The locals are the biggest supporters by far. Secondly, it is good for the economy. Festivals create opportunities for markets (events within the event). Entrepreneurs and producers get access to an offset that goes beyond what they reach on a regular basis with their store or general distribution. 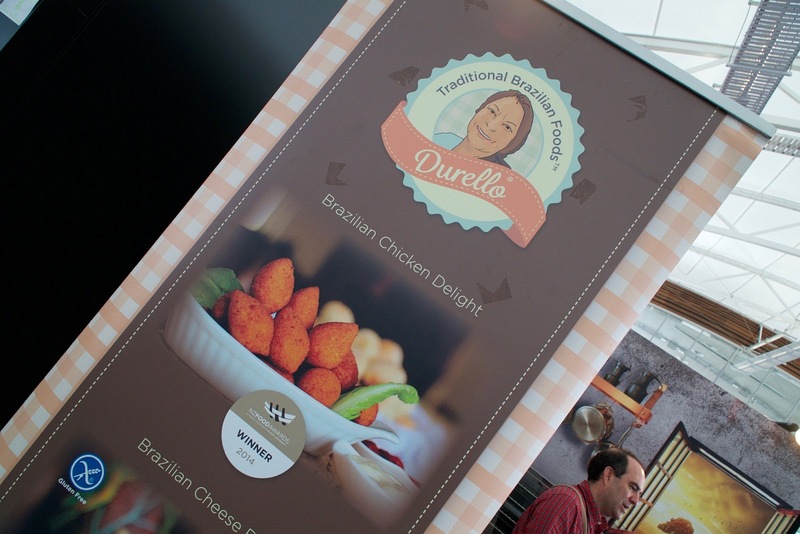 Food festivals encourage enterprise. If there is a market, then there are opportunities to deliver to the market's needs. New producers step in to fill these needs which mean more businesses. More food is produced locally. 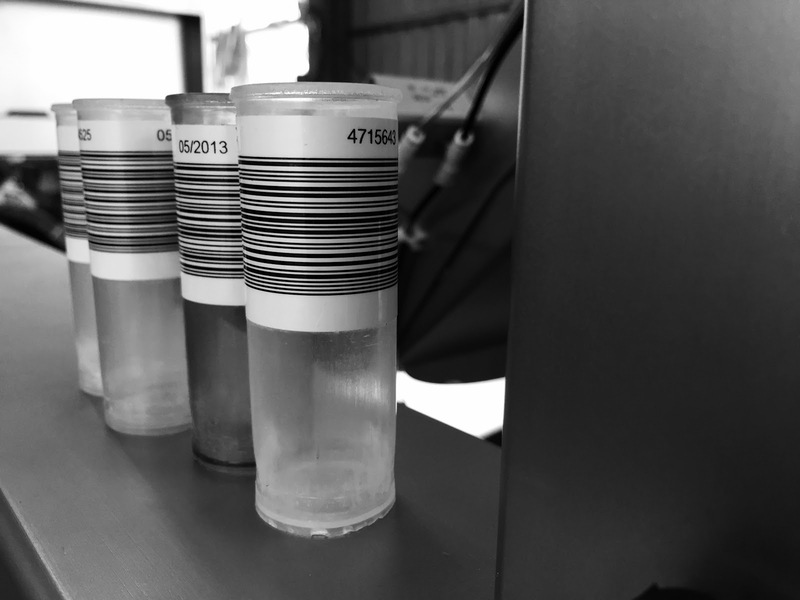 New products are innovated and tested. The increased competition serves to improve standards. Ultimately, the economy benefits because it encourages tourism and visitation to local communities. These both come with increased earnings and revenue. It is valuable income for the people of our farms, towns and cities. 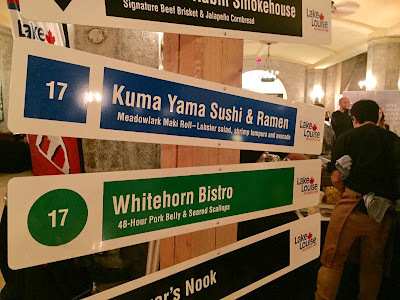 It is with this worthy realisation of the benefits of food festivals that we attended Banff's Big Taste. 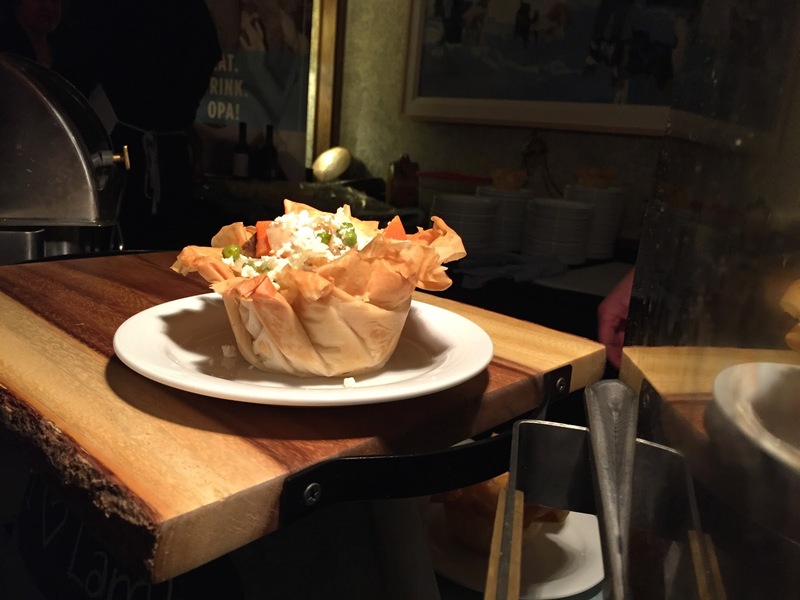 It is the most recent addition to the food festival calendar for the Bow Valley of Alberta. The first food festival event for us in 2017. 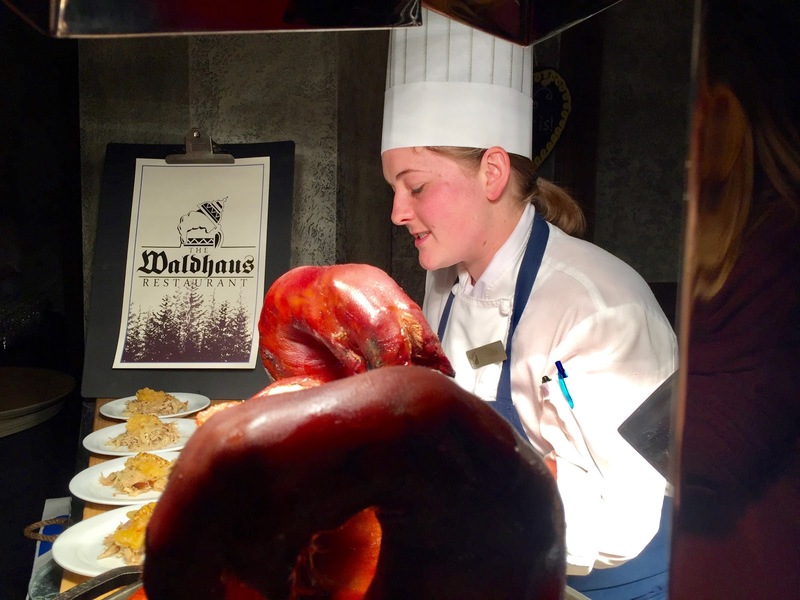 Thankfully, the Banff Hospitality Collective stepped forward to give us an excuse to celebrate the talents of local chefs and the great produce of our Canadian food producers. Celebrate we did! Thank you! Banff's Big Taste was our chance to sip, savour and experience Banff's exciting culinary scene all in one place, with some excellent pairings. This is not just a statement. It is a profound discovery. We found that the standard improved substantially over recent years to make Banff's culinary offerings rival the natural beauty of the setting. The Banff Hospitality Collective is raising the bar with new talent, new venues, locally sourced produce and innovative offerings like Canada's first craft distillery inside a three-story restaurant - Park Distillery. 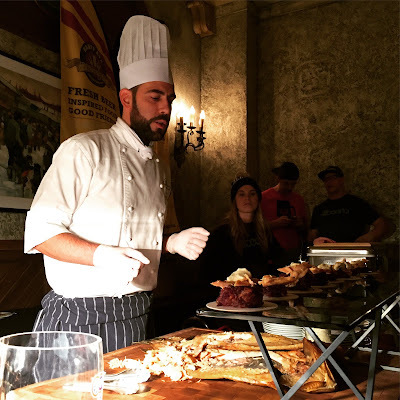 The events included chefs dinners, the grand tasting hall that we featured in the video above, spirit seminars (the drinking kind) and the jolly nightlife of a cold winter mountain town full of young, affluent adventure seeking (mostly) Australians. It was five days of deliciousness that gave us yet another reason to make a frequent stop in Banff in the New Year. We have our calendars marked for 2018! In today's world, the principles that make commerce successful is obfuscated by unnecessary complexity. It is confused by things people do that masquerade as a business. It is becoming harder and harder to understand what should be done to succeed in any business. It is not easy to know anymore what makes a business success or failure. Is it profit, size, social reach, or the preferential ride with taxpayer funded grants and subsidies? To simplify the conversation, one should note that inherently commerce is a social endeavour. It is the way whereby people co-operate in large groups. It is a fundamental part of any society that let us act and work together for everyone's benefit. When we are better off, we have an increase in resources, health, and safety with luxuries like self-actualization through art, philosophy and music. When commerce is healthy, everyone benefits. Basic biological instinct and social behaviours may get us by in a small family unit or band, but it falls massively short of helping to construct large cooperative and prosperous societies. Large-scale cooperation is a relatively new phenomenon on the evolutionary scale of our species. And, it is very much needed if we are planning to stick around on this planet for long. The rules for co-operation remained fluid through the evolution of society. There have been many successes that resulted in prosperity, safety and progress. There have equally been many disasters, which resulted in war, famine and the death of many people. Finding a way to successfully cooperate is an ongoing human endeavour. That is why we should pay attention and learn from our mistakes. Core and simple principles serve as ground rules for fruitful cooperation, commerce and ultimately for the health of society. 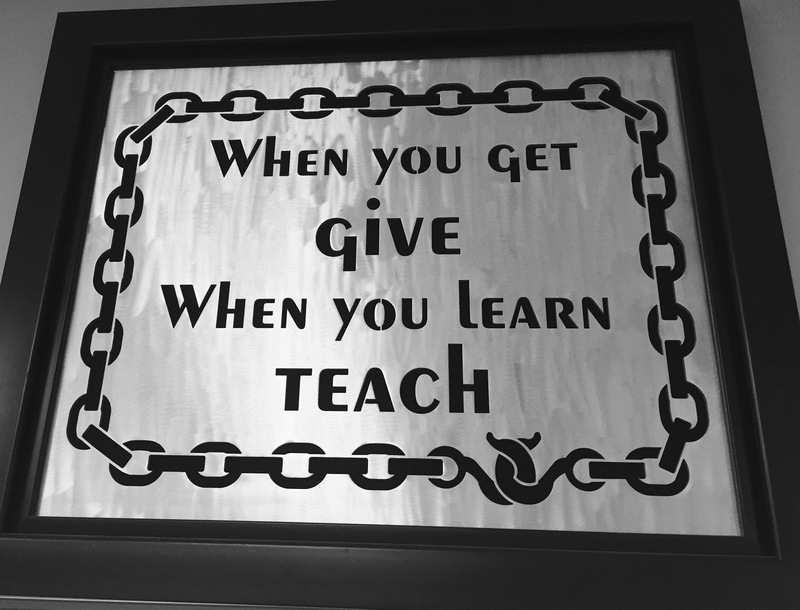 These principles also serve as personal values for the people involved in the group. It is the standards by which we behave. It defines what one personally and as a group consider to be important. The same exist in day-to-day business dealings. Strong, constructive and supportive values keep economic cooperation healthy, and everyone should prosper. What values are needed to succeed in business? Every successful business person can contribute to a plethora of knowledge about the values that work in their respective organisations and markets. The company profiles you've seen on this site is a minute collection of the successes and wisdom of inspiring entrepreneurs. There are common themes across the stories. One that continues to stand out is the topic of good personal and organisational values. With effective and supportive values a business tends to be more successful overall. 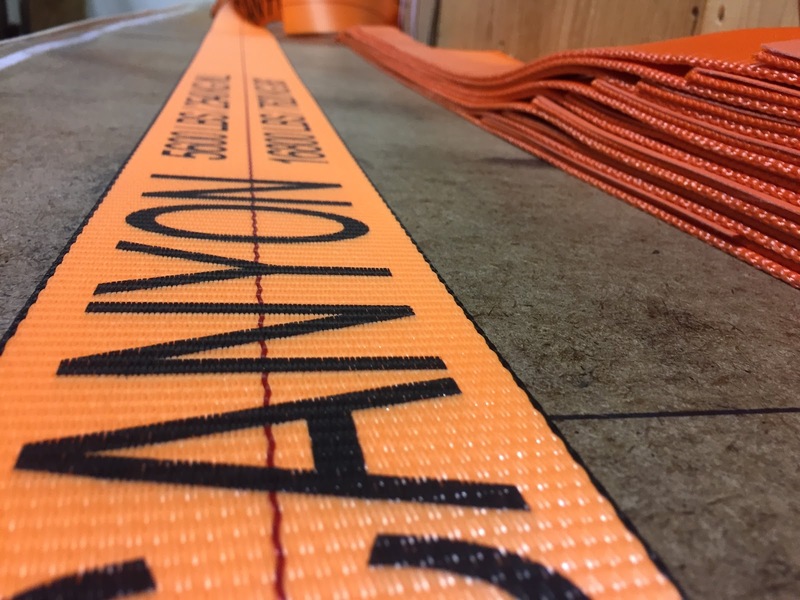 At Canyon Rigging, we've found another inspiring business that puts core and useful values at the heart of everything they do. As a result, they've prospered. They keep on growing even during a massive market downturn in Alberta, Canada. Gregg Hampton, the founder, succeeded in laying a firm principled foundation for the future of the company, its workers, clients and ultimately for their community. 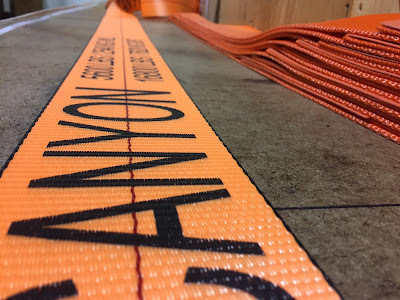 Canyon Rigging is a family business that was started in 1998 in the foothills of Southern Alberta, twelve miles Southwest of Okotoks. 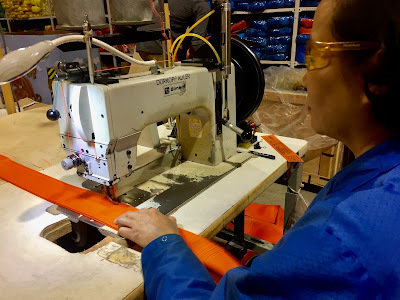 They do custom cargo securement and rigging and manufacture some of their products at their factory in Calgary. 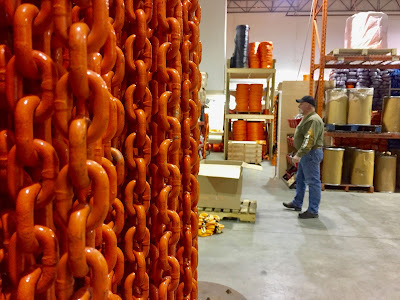 Gregg, the founder president of the company, has been in the cargo securement and rigging industry since 1978 bringing almost 40 years experience to the enterprise. "Advertise what you do, and try and do it well." "Do what you say, and say what you do." "The key is keeping your word and honouring your commitment." "You can't make a Dollar and spend two. You're gonna be done." "Good old-fashioned service is the key to success. 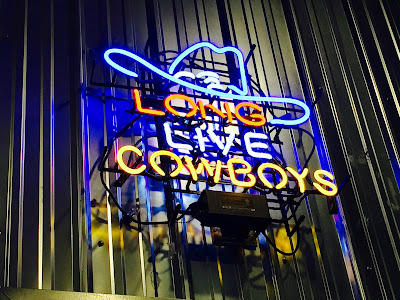 It shouldn't go out of style." "Employ local people. Employees take pride in what they do because they see who they do it for." Passing the torch on to the next generation is a challenge for any founder. Gregg is busy imparting his knowledge to Dan, his son in law, the same way he received it when he started his business. There is no chance for his, or any business to make this transition successfully without passing on the values and principles that made the business successful in the first instance. Technologies change. Industries change. Simple business principles and core values are timeless, for any business, and for every society that wants to keep on prospering. We should work hard at living them every day. Canada is not one of the top beer drinking nations. Surprised? It is Canada's most popular beverage by far but we're not drinking enough as a nation. According to our trusted informant at Wikipedia, Canada is ranked 39th in the world with around 63 liters of beer per person per year. New Zealand, Australia, and the United States are all out-drinking the Canucks. Society owes an enormous debt to beer. Because of beer, we have civilization. Yes, there are health and nutritional benefits to consider. It is the social benefits of drinking beer that has helped to substantially advance civility. Beer may just have kept us from wiping out each other. Over time, it became much more pleasurable and life-prolonging to meet our foes in battle at a game and then have a "cold-one" afterward. 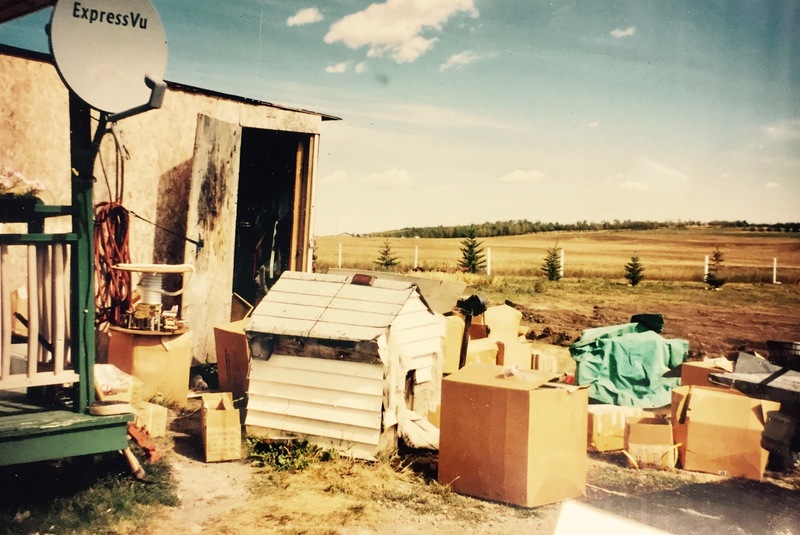 If you know the Canadian Hockey culture, then you will completely grasp its significance. Instead of death by axe and sword on the battlefield, it became puck and stick on the ice, finished with a beer. In the warmer climates, the principle is the same. It all comes down to having a beer after the game. It keeps everyone alive and in good spirits for the next round. How is it then that Canadians, a sporting nation like any other, are not consuming their allotment in beer? The answer is simple. A lack of "fresh" beer! Beer oxidizes over time. When it does, it gets a "papery" or flattened-out flavour. Beer doesn't “spoil,” or become unsafe to drink, just less pleasant. How long your beer will remain drinkable depends on many factors. The conditions under which you store it, the style and whether it is canned or bottled all contribute to its expeditious deterioration. Light and oxygen are the enemies of beer. If your beer has gone from the brewery to a hot truck, to a cold storage facility, to the floor of your local grocery store, it loses flavour more quickly. As a general rule beer keeps the longest when stored at a constant cool temperature and handling is kept to a minimum. The best beer is fresh beer consumed within seven days from brewing, which hasn't been moved, touched and even bottled. 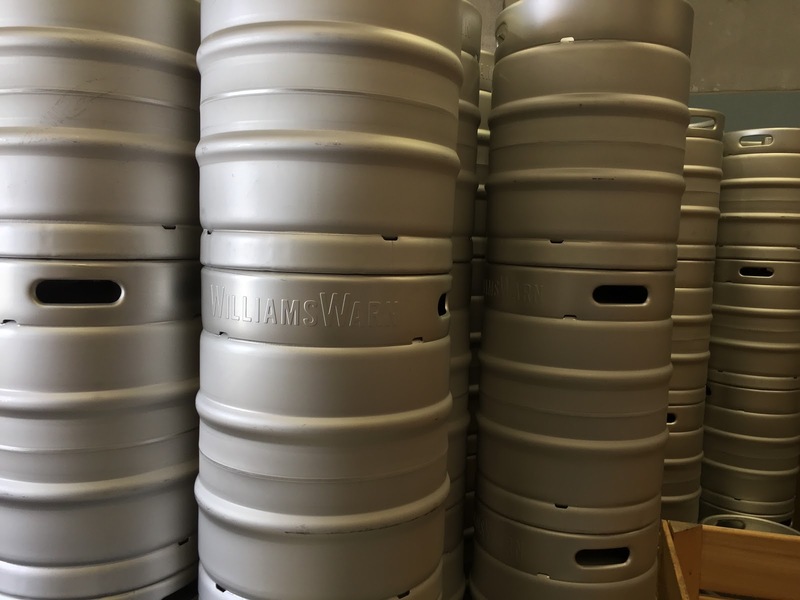 Here's the elephant in the room: "Breweries know this! That is why your draft tastes better than the bottle." 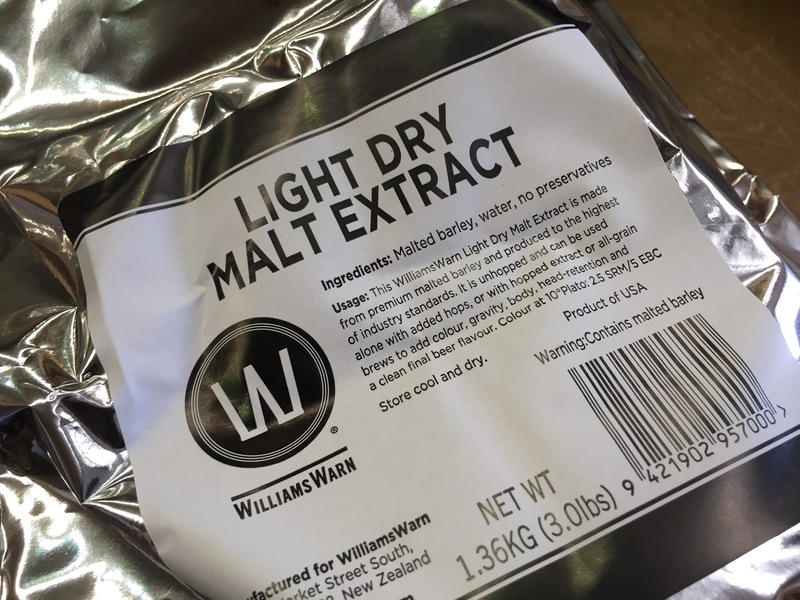 It made us think about how we can regularly get our hands on truly fresh beer, short of pulling a heist on the brewery or bribing the local brewmaster? We tried brewing our own beer. The results were less than stellar, and we abandoned the mission for the local grocery store six-pack after a month of trying. We made friends with our local brewmaster and picked up a keg from the brewery. We sourced some CO2 gas from the local beer gas guy. Hooked it all up to a kegerator from China and pulled the lever. A mouth full of foam is all we managed after fiddling with the regulators for a week. 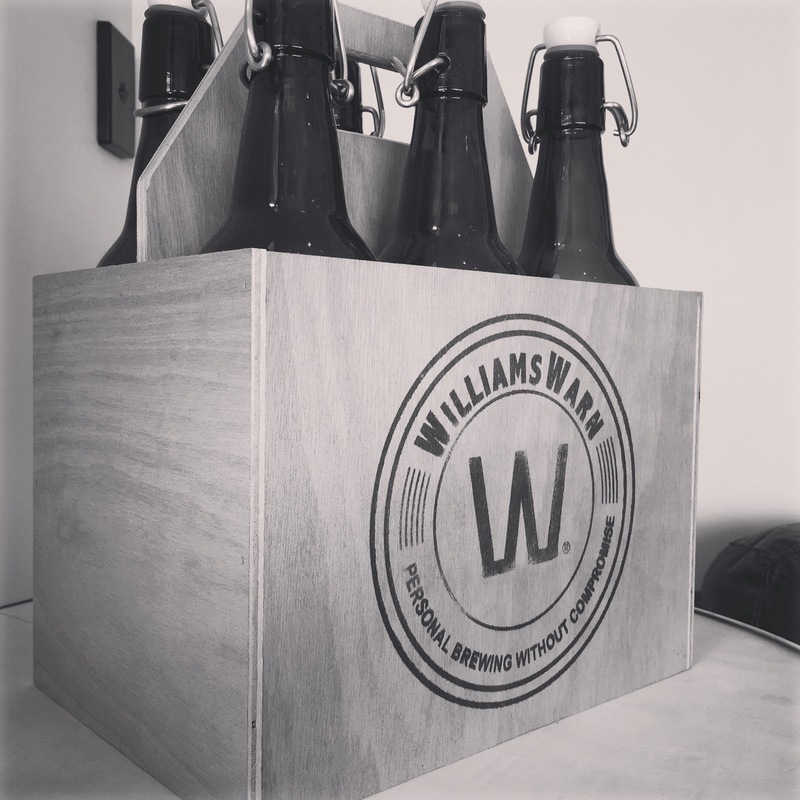 The only strategy that has worked consistently so far is a significant investment in Growlers that we get refilled every other day at the local brewery. Even this is hit and miss depending on the age of the beer in the keg they sell. We kept looking for a better solution, and I think we've found it with Ian Williams and the folks at WilliamsWarn. They cracked the code and solved our fresh beer problem. It is something that has since turned our beer world literally upside down. 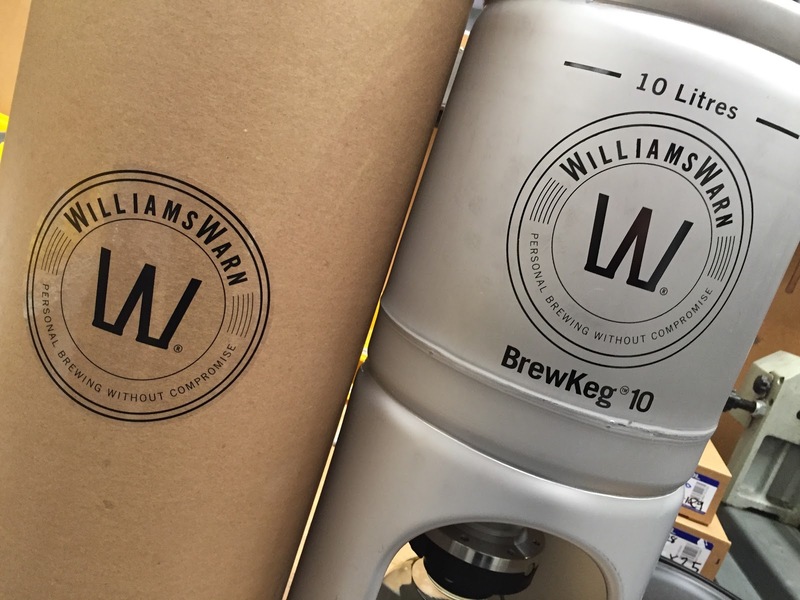 WilliamsWarn has an appliance (like a coffee machine) that makes fresh beer on tap. And, it does it better than our local brewmaster (don't tell him yet). Here's the real surprise. You can do it all yourself, at home, from the best ingredients in the world, with nearly no specialist knowledge. 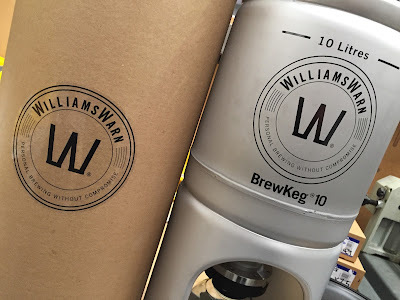 The folks at WilliamsWarn generously hosted us in Hastings at their assembly plant to give us a good look at their new BrewKegs and stocked us up on fresh beer. 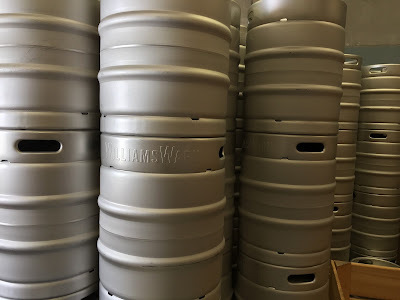 Our real surprise was to see how these BrewKegs is revolutionizing craft brewing in brewpubs, delicatessens, and restaurants all over New Zealand. Let's just say, North America and Canada's nearly 5,000 craft breweries better buckle up. Fresh beer is in town. Prepare for your world to be challenged. We are going to track and enjoy it every step of the way. "Descartes walked into a bar, and the barman said to him: 'Are you thirsty?' Descartes replied: 'I don't think I am'. He then disappeared." 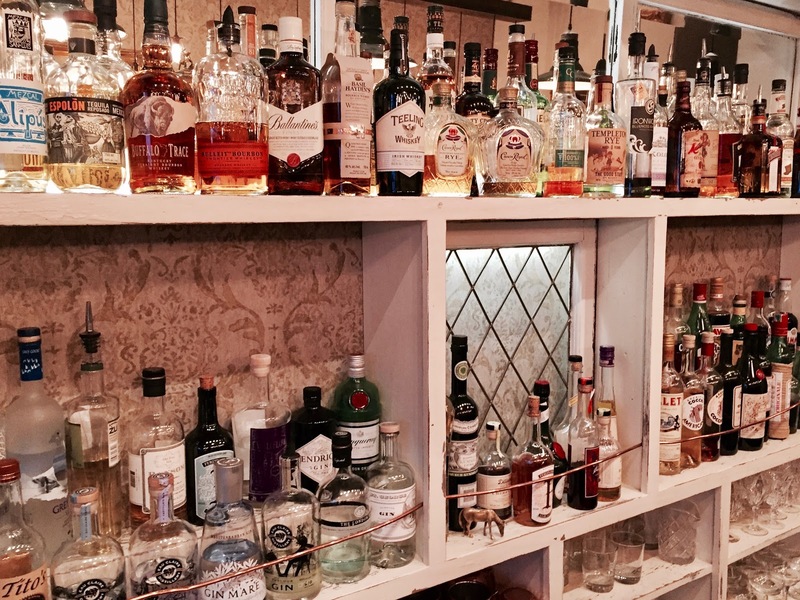 If you were given a chance to design and build your perfect bar, what will it look like? Here are a few simple guidelines to help you set it apart. It should be a place with the best there is to drink. 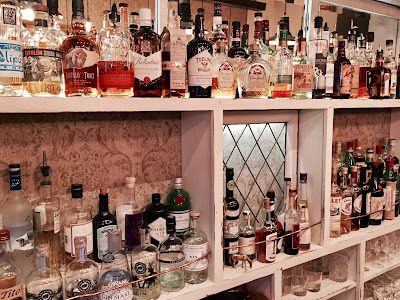 Fresh beer, great wine, wicked spirits and amazing one-of-kind cocktails. It should be made with the very best locally produced ingredients, served by the most talented mixologists. Secondly, the food should be outstanding. 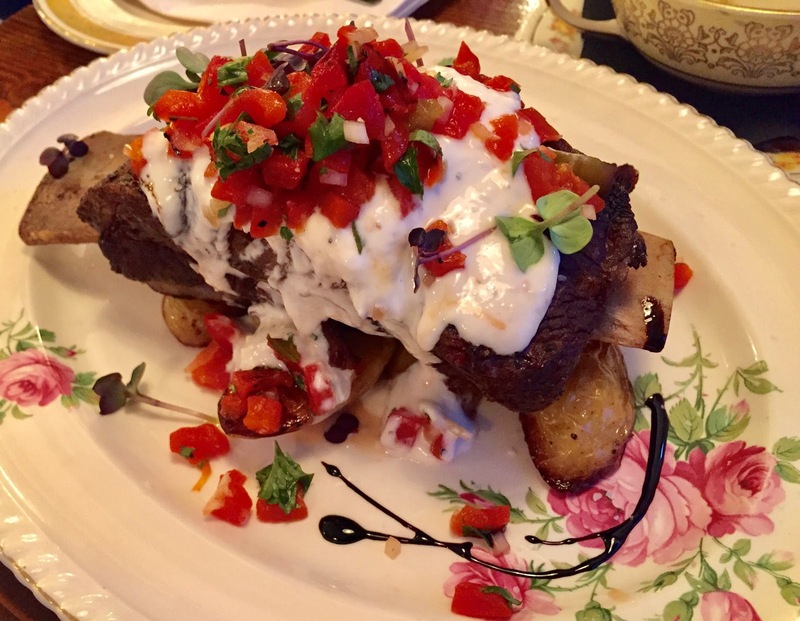 Prepared by talented chefs sophisticated enough to entice you with unfamiliar ingredients and exotic tastes, yet hearty enough to be familiar. It should draw from the best Alberta has to offer in beef and pork, and not shy away from the bounty of the rest of Canada. Thirdly, the atmosphere should be cosy. Not cramped. The music should complement the drumming of laughter of people having fun. The decor natural and the seating comfortable. It should have ample counselling chairs at the bar for easy access to bartender instruction and wisdom. There should be tight-squeeze booths for new lovers and a spot in the sun for lazy late summer afternoons. Lastly, the perfect bar should be filled with familiar faces. Friends. The people with whom you want to be. This is exactly what Oona Davis and her business partner Shelley managed to create with the place they named "Where the Buffalo Roam", (also known as Canmore's Saloon). A place where they are comfortable. The kind of place they wanted, but couldn't find anywhere else in Canmore, Alberta. For almost 4,000 years buffalo grazed on the Bow Valley's rich pasture and drank from the water of the Bow River. 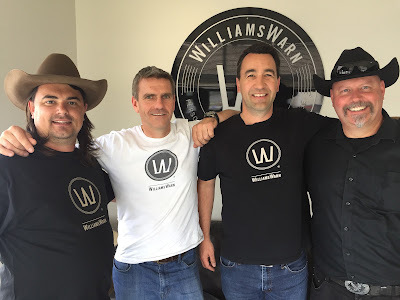 In 2015 the doors of a tiny little Saloon opened on Main Street, Canmore. It took its queue and borrowed its name from these gracious animals. Today it serves up pretty much the same concept. It takes care of the hungry and the thirsty. It is their place to meet, drink, date, socialise or to just to get away after a long working day. We were welcomed with open arms when we filmed Oona and her team before Christmas 2016. 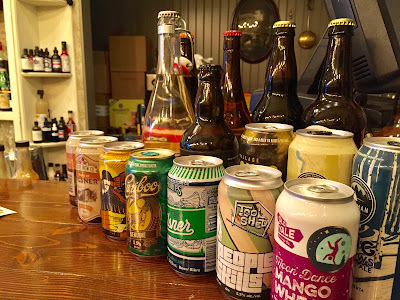 What appeared at first glance as a tiny, unassuming watering hole surprised us with a variety to drink that shows a real commitment to featuring local brewers, distillers and nearby wine producers. The food is inspirational. We recommend the slow braised beef rib with Christmas colour garnishing (see photo below). However, nothing comes close to the creativity that goes into the cocktails. A cocktail is something we usually pass over because of cost. 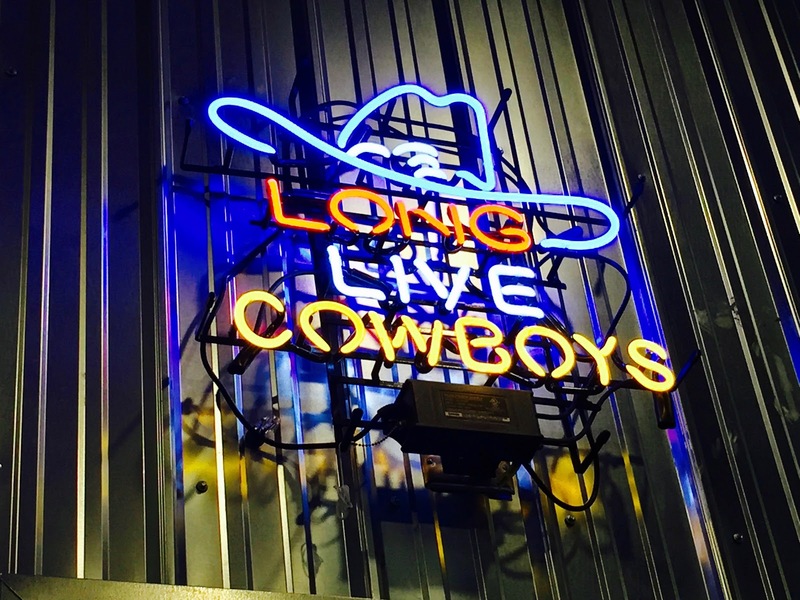 At this Saloon, it is the feature attraction. Make it count. 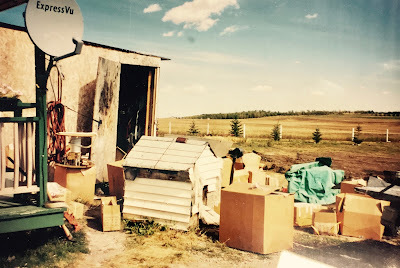 I am told it is just the way it is done "Where the Buffalo Roam". 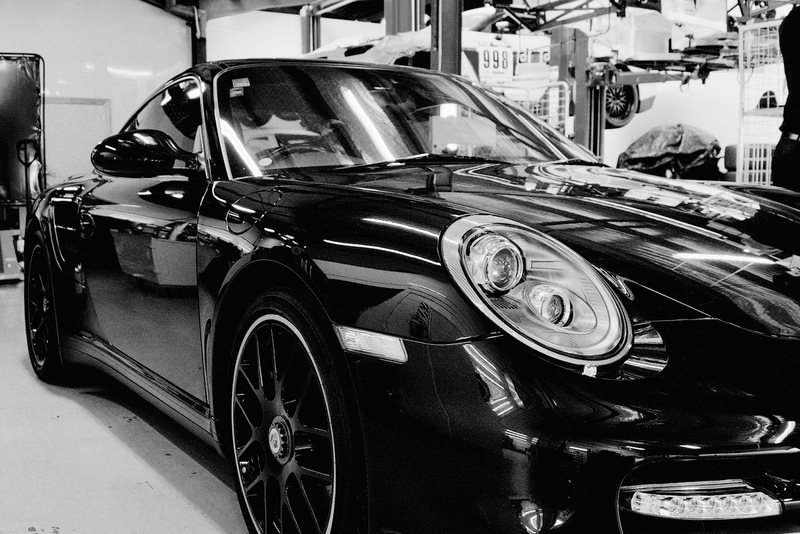 Manufacturers spend millions to make sports cars look good and go fast. Sometimes fast just isn't fast enough. It definitely isn't for a team of innovative engineers on the North Shore of Auckland in New Zealand. When they got their hands on Nissan's GT-R in 2007, they knew that Nissan was onto something by making one of the most powerful production vehicles in the world. However, there were problems. It didn't last on the track. One of the key challenges was getting the power transferred onto the road, consistently and efficiently. Guess what? The Kiwis fixed it. They made it better. These folks have been doing it consistently now, for almost a decade. The rest, as they say, is history. Today, Dodson Motorsport is a world leader in aftermarket dual clutch transmission components for high-end performance vehicles. 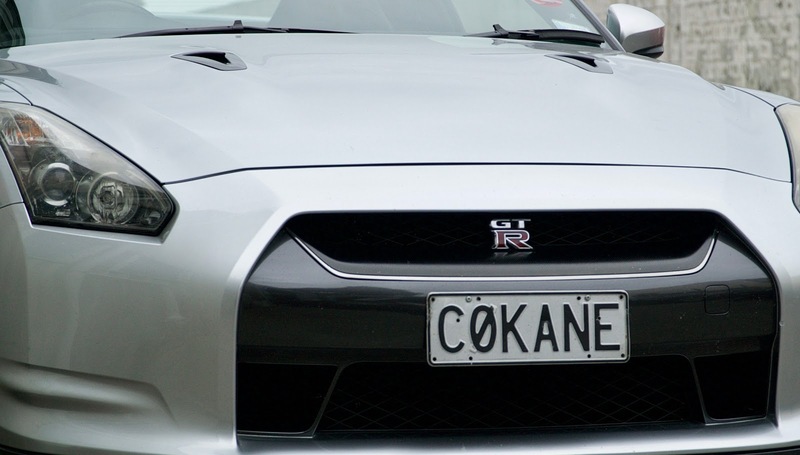 We are talking about the Nissan GT-R, Audi R8, Lamborgini, and Porche to name just a few. Their origins are in motorsport tuning, fabrication and development. The place where you come up with ideas, try new things, make something, push convention to the limits and "see what happens". Now they offer a broad range of products for transmission upgrades of high-performance and high-end vehicles. It may sound like boring stuff, but they assure us that the little bits they innovate and engineer ends up making a massive difference when it comes to breaking speed and performance records. They should know. 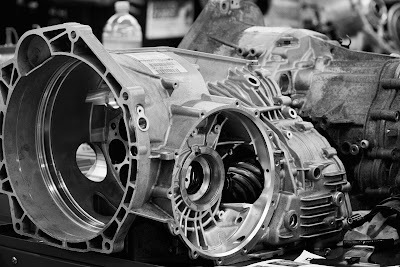 The vehicles with Dodson transmission components are some of the fastest on the road. Period. Why transmissions, we asked? According to spokesperson Steven Parker, "It is one of the places where the manufacturers take a "good enough approach". It is good enough for the average driver on his Sunday afternoon Martini cruise. However, most of the people that buy these cars and spend from $300k upwards on a new toy, are not in the afternoon cruising game. They buy fast cars to go fast. Plain and Simple. Inevitably they want to go even faster, and that is when 'good enough' things break. That is when you need better. 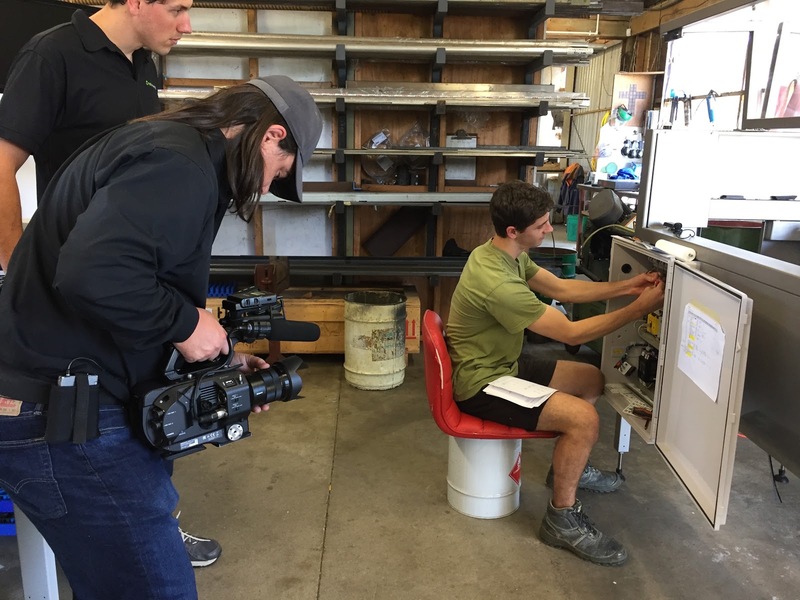 When you fit a Dodson engineered component, you get the best." Dodson comprehensively road and track tests all their products using their fleet of vehicles. It includes high-performance offerings from Nissan, Mitsubishi, Porsche, VW, BMW and Audi. It means they make their cars go fast. If things break, they know where it happens, why it happens, and can innovate and build accordingly. What a life! For example, their products for the Nissan’s GT-R are regularly tested in racing environments to ensure reliability and durability exceeding both manufacturer standards and the expectations of customers. Apparently, 1-in-3 GT-R's on the road wears a piece of Dodson. 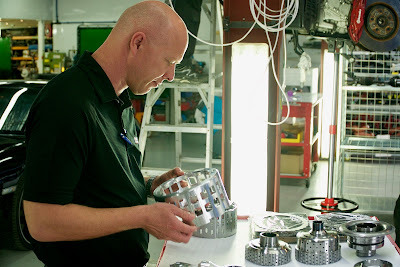 Glenn Cupit, one of the principals of the company, mentioned that their specialised team also carries out custom transmission projects and special developments for clients around the world. It is almost unthinkable that a small engineering company in Auckland, New Zealand, at a location that doesn't even have a street sign, with 17 staff, is setting the standard for high-end transmission engineering in the world! Kiwi ingenuity is yet again helping to break records on the world stage. We knew that telling the Dodson's story was going to be amazing. We've met and filmed a bit of it. 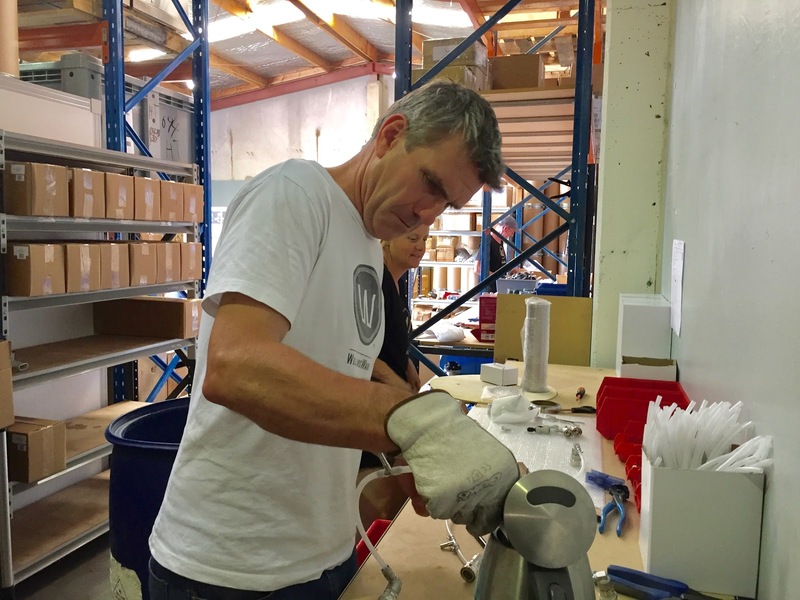 They were one of the finalists for the Westpac Auckland Business Awards of 2016. We knew that we could focus on the technology and the products alone and it will be astonishing to show the world what Kiwi's have done, again. However, technology moves forward. In some industries, it moves quite fast (pun intended). The Dodson products are amazing, but it is the focus on innovation and the dedication that Glenn and his team puts into it that is the heart of the Dodson Motorsport story. It is not only the products. It is how they keep coming up with something better that distinguishes this business again, and again. When Glenn took me on the road for a little test drive, we couldn't get a feel for the performance of the Audi R8. I think every speed radar and laser tool on Auckland's motorways have a Dodson's homing device. They were all pointed at us every step of the way. What I did get a feel for, is Glenn's passion for what they do at Dodson. I've found a man in his happy place behind the steering wheel of his Audi. "It's like playing; only the toys are bigger." I probed him on the future. Glenn acknowledged that "Electric cars are around the corner. They will go fast. If Dodson Motorsport has its way, they will go even faster with Dodson know-how." This is a given from what I've seen in Auckland this summer. Still, that is a story for another time. Having a passion for food is the easy part. Carole Beaton from An Edible Life discovered the profound impact food has on one's quality of life. For her, it has been a long lesson in the making. 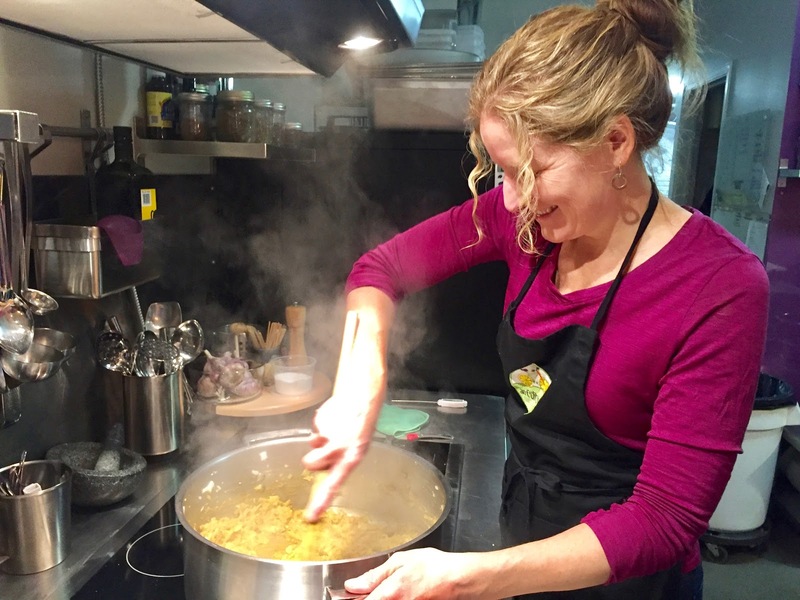 Since then, she's been on a journey with food, passion and healthy living that lead to her launching and operating a successful business in micro food manufacturing in Canmore, Alberta. Food is the pillar of any society. It defines customs, set identities and is the focal point of our social interactions. We turn to food for nourishment, comfort, leisure, creativity and inspiration. A large part of every person's day is taken up consciously or unconsciously by food. Once food becomes a conscious part of one's day, it has the potential to be even more. It has the potential for healing. It is probably now more top of mind in our western society than ever before. Turn on the television (for those that still have one), or scour social media and the Internet and you will find it cluttered with food pictures, cooking programs and competitions. 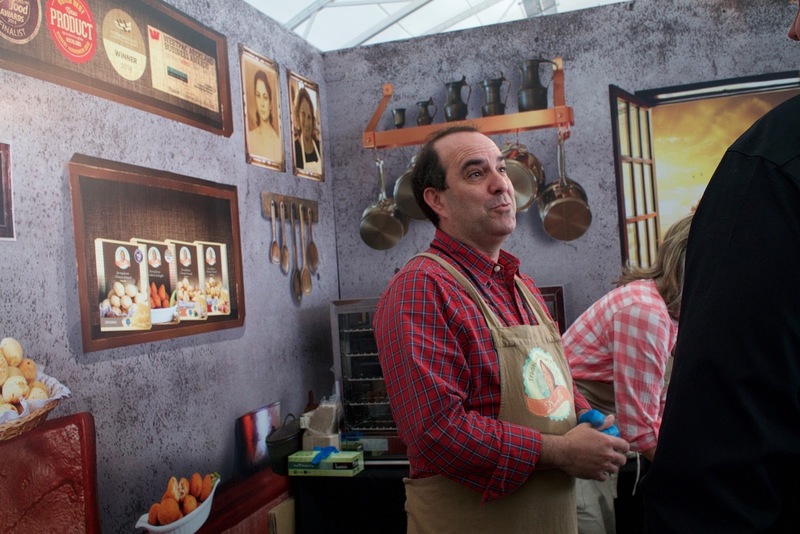 Chefs are celebrities and household names. Every cooked meal aspires to be photo ready and Instagramable. Food festivals are everywhere. With it all comes hostilities that are proclaimed from the vanguard of food niches and fetishes. Paleo, vegan, nose-to-tail, root to leave, slow food, farm-to-table, low-fat, organic, low-carb, high-fibre, sugar-free and pre-made convenience all weigh into a never ending battle of what is better than the other. What is more healthy than the other. Then there are the labels that sound like religions of a new world order. Vegetarian, Pescatarian, Meatatarian, Fruitarian and Nutarian. Seriously! What happened to just good old hearty healthy food? Supremacy of an argument in the world of food is hard-won territory. People's conversations have reached an almost religious pitch. Even morality is applied to food choices with little room for culture, history, preference, or personal experience. 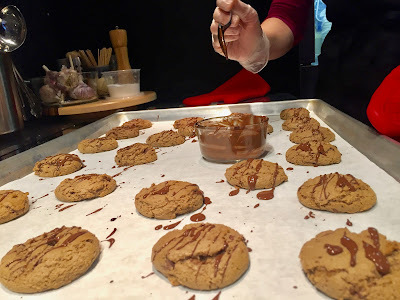 It is this personal experience in healthy eating that distinguishes Carol's small food manufacturing business from others. Many of us, like Carol, understands instinctively that nutrition is one of the biggest building blocks of our health and happiness. However, many of us lack the in-depth knowledge and understanding of how our own bodies work with our food. We don't know how to make dietary choices with confidence or lack the skill to prepare wholesome and healthy food altogether. Carole’s own experience in managing a hereditary kidney disease through her diet and exercise has fostered a deep belief in the value of healthy foods. She is now helping others discover the same benefits though her business. It has lead Carole to become a Holistic Nutritionist and to start An Edible Life. We dubbed Carol's place "Canmore's Kitchen". It is the place for delicious and healthy food when eating out is not an option, fast food is not acceptable, and when there is no time for making your own. It is the kind of place you can visit to see what's cooking on the stove today. It is a no-sit-down, get-your-food-and-go place where you can trust what you eat. There are regular favourites on the menu like Shepherd's Pie, Goji Cacao Balls (which made her famous) and Honey BBQ Pulled Pork. She also carries an extensive menu packed with soups, hearty meals and lighter fare. 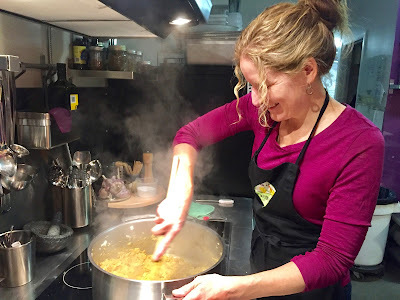 We are glad that Carol made a move from construction to food and from consulting to cooking. Her meals are delicious and because of her dedication to the "good and healthy stuff", you know that whatever you get from An Edible Life is for living. It comes with all Carol's healthy care and dedication. 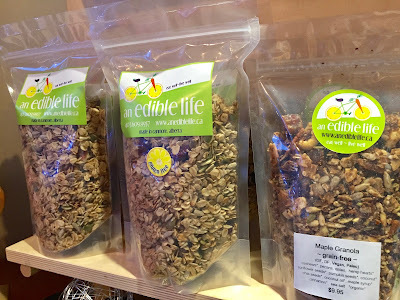 We are eating for a healthy life at An Edible Life. She promised us, even the Goji Cacao Balls are healthy. We are taking her word for it! When a thigh is not enough. Thanks to Wikipedia, and Durello Traditional Brazilian Foods in Auckland, we know that Coxinha is a popular food in Brazil consisting of chopped or shredded chicken meat, covered in dough and moulded into a shape resembling a chicken leg, battered and fried. Coxinha was originally made with the meat of chicken thighs. Its traditional shape is also meant to resemble a chicken thigh (a small chicken, obviously). In its modern form, it may have originated among the Brazilian Royal Family in São Paulo in the 19th century. This is where we encountered a story that explains the existence of the Coxinha. Thanks to a talented cook faced with a dilemma, who invented an artificial chicken thigh to appease a hungry young prince. Today we have Coxinha. History tells us that Prince Gaston, Count D'Eu, husband of Princess Isabel of Brazil (1846-1921), had a favourite dish, chicken. But, he only ate the thighs. One day, not having enough thighs, the Royal Chef decided to turn a whole chicken into thighs by shredding it and making the filling for flour dough shaped into a drumstick. Messing with a Prince's chicken thighs is risky business. Luckily, the Monarch endorsed the results and today we have Coxinha. Empress Teresa Cristina, when visiting him, could not resist this tasty delicacy. She liked it so much that she requested that the master of the imperial kitchen learn how to prepare the snack. So Coxinha won over the nobility and became history. However, somehow this delight and its amazing story didn't escape Brazil and Spain for Canada or New Zealand, until now, thanks to Durello. You can't ignore the Coxinha if you want to pretend to provide any sort of complete coverage of Brazil's world of food and eating. Barbara and Marcelo certainly couldn't either if they were to pay homage to the authentic food of their motherland, Brazil. We checked in with Marcelo and Barbara before we left New Zealand's summer behind for Canada's winter. Previously we learned about Brazilian Cheese Bread from Barbara. She insisted that we were missing the best part. We had to return one more time and try their Chicken Delights (Coxinha). We couldn't refuse, knowing how delicious their products are. We wanted to learn what is so special about these Chicken Delights that gave it its local notoriety. It is so unique that it allowed Durello to walk away with the winning prize at the New Zealand Food Awards of 2014. What we found again was an attention to detail and a laser focus to make the most authentic product surpassing the best in Brazil. 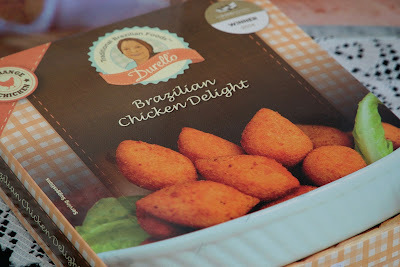 They are so good that Durello has been asked to export it right back to Brazil! Talking about export. Durello succeeded during 2016 in getting their export compliance licensing to start shipping this delight to Australia in 2017. 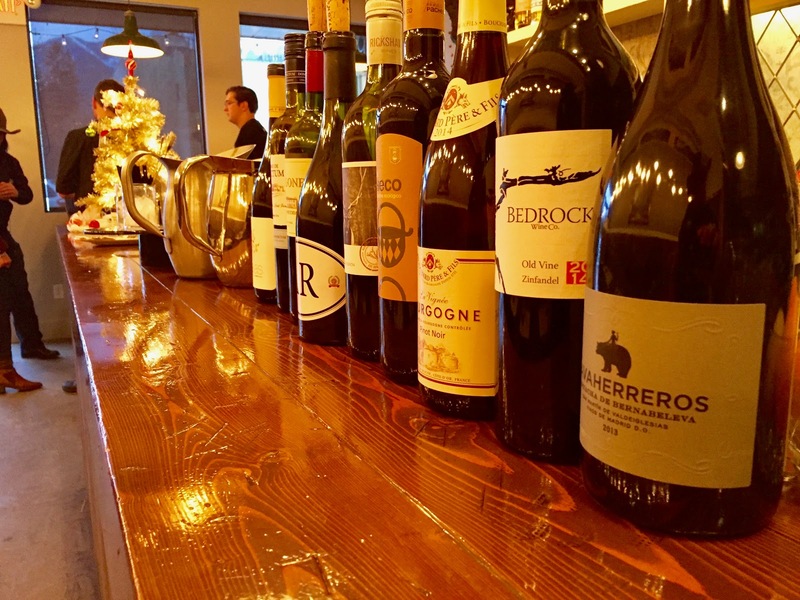 Initially, it will be positioned for the restaurant and bar trade, and soon after, you will be able to buy it in the grocery stores. You already can buy it in New Zealand's stores as a frozen product you can prepare yourself, or at their tiny little downtown store in Auckland. We are encouraged by Marcelo and Barbara's dedication to their business and will excitedly follow their international expansion. It is an amazing story when you realise that a person from the Netherlands (Barbara), married a fella from Brazil (Marcelo), then moved from Brazil to New Zealand for a new life, started a manufacturing business making authentic Brazilian food products, that will now be exported to Australia. One day, they will send it to the rest of the world. Possibly, even back to Brazil. There's a modesty that comes with the Kiwi culture that is striking. New Zealand's producers are doing phenomenal things on the international stage with innovative products and services. They set the tone for, and lead innovation in many industries. The source for this success is quite simple. Make the things you love, and keep making it better. However, when you ask them about it, the most you get out of them is. "Yee-na, Mate. We're just doing what needs to be done until she's right." Simple! There is one industry that is in the blood of every Kiwi. 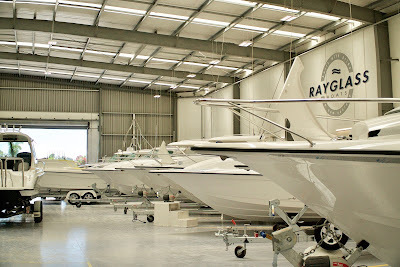 The boating and fishing business is big business Downunder. They love fishing whenever weather permits and is working daily to refine this art and the tools of the trade. The best fishing is in a Rayglass boat on the water, we're told. We checked in with Dave Larsen and his team at Rayglass Boats. 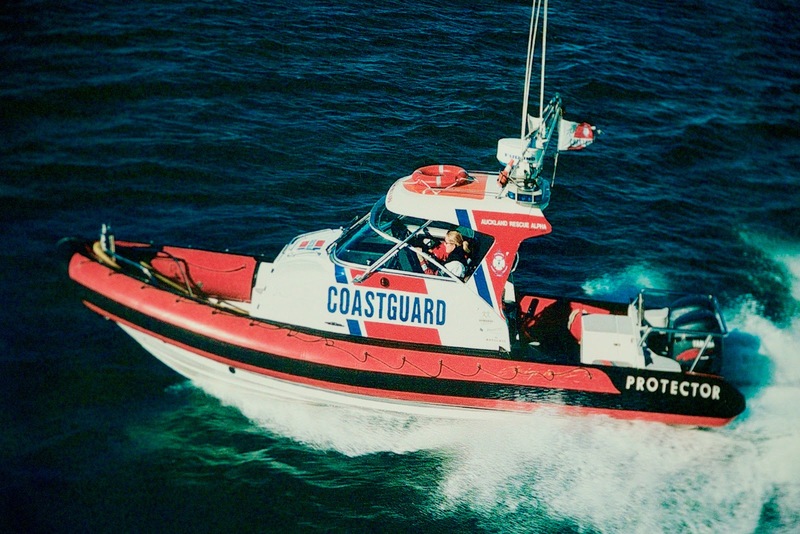 The company's products are well known in New Zealand and abroad as a premium option for leisure craft. The dream of every fisherman on the Islands is to have a Rayglass boat for his weekend fishing "trup". Not many people know that their Protectors range is also an option of choice for hard work on the water. They've found favour with companies and law enforcement in most parts of the globe. Especially in Europe, United States, Canada, Australia, Scandinavia, Russia, Asia and throughout the Pacific, they are used to travel quickly, safely and comfortably in virtually any conditions. They serve as patrol and rescue boats, as support vessels for international yacht racing teams, as fast pleasure cruisers and sports fishing boats and as superyacht tenders. 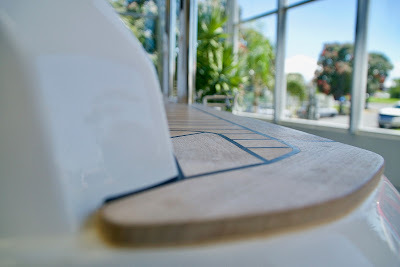 Dave and his team are living the dream by making the boat ownership dreams of others come true. Their reputation for excellence in design, construction, finish and performance is the result of a total commitment by everyone at Rayglass to quality. Their boats are the product of extensive research and development to constantly improve the designs, ride, seaworthiness and all round family comfort. We've asked Dave about this extensive research and development and was surprised by his answer. I am not going to repeat his words, but it comes down to the fact that they have so much knowledge and experience of what works on the water, and so many years of refining the offering that they remain untouched by their competition. 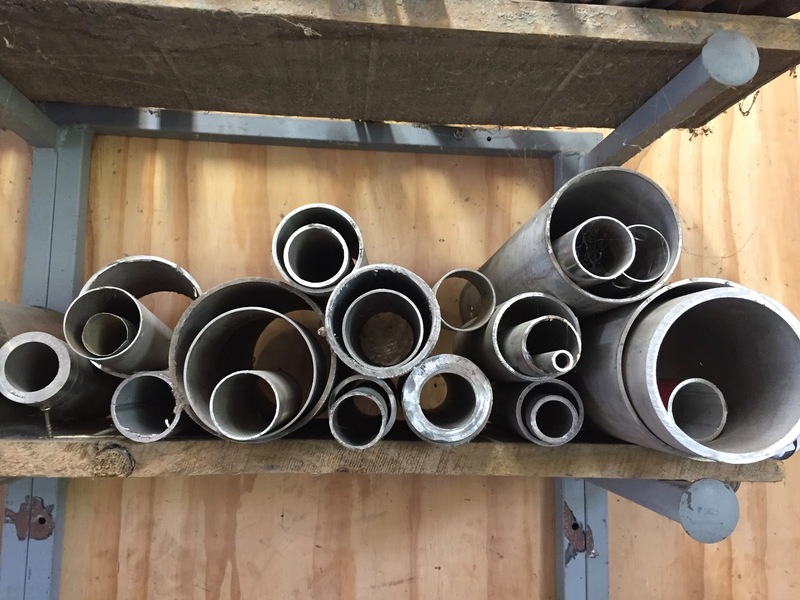 They set the standard by listening to their customers and iterating quickly to be responsive to meeting these needs. 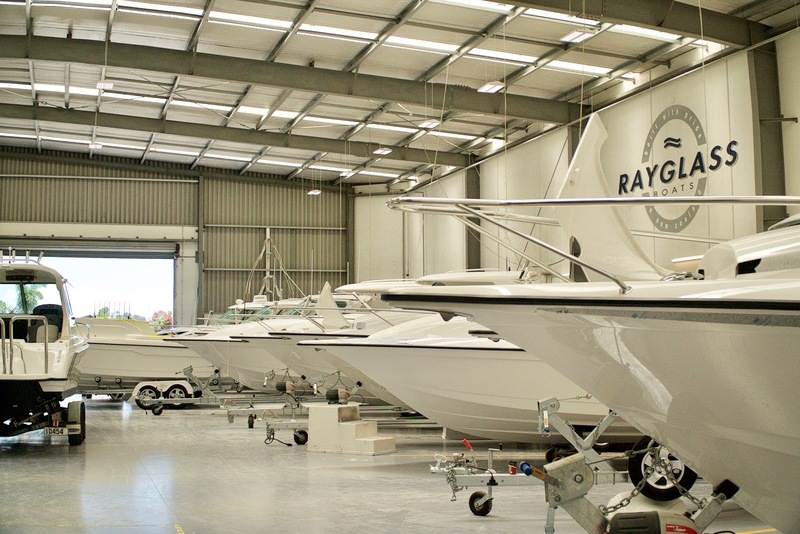 Their exceptional on-water performance comes from the utmost attention to quality and detail. 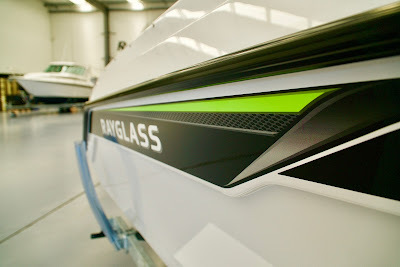 The highest endorsement of Rayglass’ performance came from the organisers of the world’s most prestigious yacht races - the Louis Vuitton Cup and America’s Cup - who have chosen on several occasions to have a fleet of Legend and Protector boats for on-water patrol and umpiring vessels. 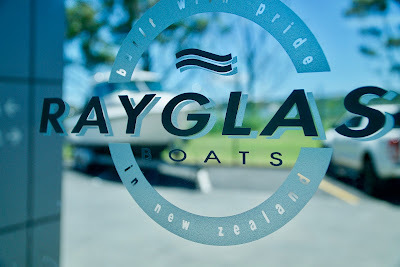 Rayglass manufactures all their boats in Auckland New Zealand and sends it the world over. According to Dave, none are at the bottom of the ocean. Of all the units that have been manufactured in almost three decades, none have ever sunk. "They are unsinkable!" When I enquired about the colours in which the boats are available I was politely informed that the latest craze in Kiwi boat fashion is a "racing green stripe" (see photo below). Talk about modesty and simplicity! The best unsinkable fishing boat in the world with a racing green stripe.